Most vegan advocates spun the story to highlight the fact that eating low-carb diets loaded with animal protein is detrimental to health. I agree that this is an important aspect of the study results. 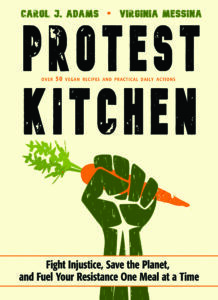 But in writing about it for the Vegan Examiner, I took a somewhat different approach. That is, eating a low-carb diet that is higher in protein and fat is not necessarily a bad thing as long as the protein and fat come from plant foods. Dr. David Jenkins showed this last year with his vegan Eco-Atkins diet. Now, with this new study, we have more evidence that diets do not need to be super high in carbohydrates in order to be healthy. They just need to replace animal foods with plants. To me, this is the good news about the Harvard-Singapore study. While I never argue for veganism on the basis of health (and this study neither supports nor refutes the health advantages of veganism), I do want vegans to know that they have some choices when it comes to planning healthy diets. Those who feel better or find that they more easily maintain a healthy weight with a lower carbohydrate intake can eat that way. They will still reap the health benefits of eating more plant foods—and the ethical benefits of veganism. I've been vegan for nearly four months now, and while I went vegan for ethical rather than health reasons, I have been worried that I'm getting too many of my calories from carbohydrates. What would a low-carb vegan diet look like? I was vegan for a year. I discovered salads, shredded lettuce, with all the fixings. And typically there are a lot of vegan dressings like Italian that are low fat. there is fat free vanilla soy milk, and chocolate fat free soy milk. I wouldn’t over do the fruit, as there are a lot of sugar carbs. maybe like an apple in the morning to midday, and a small amount of watermelon later. I would recommend varying your salads, and try to steer clear of potatoes and pastas. As making a stir fry with vegan alfredo is even more rewarding with out pasta, because you can feel good about getting the rewards by cheating. Just stick to what you actually like, bread and pasta is just the filler item, just replace it with non carb vegetables. My husband and I have been following a vegetarian lo-carb diet for about 9 months. We were very concerned about the amount of carbs that we had been eating, especially considering my family history with diabetes and research showing links to cancer and heart disease with higher carb intake. Even vegan, it is not that difficult to follow. The real problem for us come in going out to eat. The go-to fallback for veg options at mainstream restaurants are almost always pasta/rice based. We've managed to work out a system where we declare 1 night a week "carb night". Also, check out Shiritaki. Kale chips. lettuce wraps. Also, remember that you can subtract fiber grams from the carb grams when figuring out the net carbs on an item. When I go out to eat, I usually order a garden salad, no cheese, no croutons, no meat, and then add all of their vegetable options as a substitute. typically Italian is vegan, you can check the web sight before going to read the labels. Sometimes I split fries or something with a friend, and basically just stick to healthy stuff. Don’t be afraid to ask for drastic modifications to your food. This is why America is obese. If they just made healthy menus people would actually start to realize how beautiful real food is. Raw food is definitely delicious, and we shouldn’t have to apologize for wanting to be healthy in America, or anywhere. I, too, went vegan entirely for ethical reasons, but you know how we all thought of vegans before becoming vegan, right? "Oh, they're the uber thin people." Well, I'm not going to start eating animals again…ever, but I have to confess that I am really, truly, and very disappointed that I haven't lost a single pound in almost a year of eating vegan. The fat I don't eat anymore ALONE should've done something, right? But…I'll look into "dieting" the low-carb vegan way as long as it's healthy. Going vegan is really a balancing game for weight. For one, you think fruit is good for you. It is, but it contains a lot of sugar carbs. I would recommend probably sticking to like 1 1/2 servings of fruit, at least at the beginning of your diet. Also, carbs, probably your biggest enemy. Pasta, beans, rice , bread. All necessary, but in very small portions. Seriously, I eat half a piece of bread in the morning, and maybe like a serving of croutons later on. All day. Its really only for heavier physical activity. My recommendations would be, like a garden salad, vegetable soup, maybe half an apple for breakfast, try smaller portions of each and youll be surprised how long you stay full. Maybe one piece of bread, making a garden salad sandwich at lunch, maybe soy yogurt, maybe a banana. Supper, a salad, maybe vegetable soup, with a small portion of rice, maybe watermelon, Try to stick to only one soy yogurt a day as they contaian a moderate amount of carbs. My advice, try to find coconut yogurt, or any plain vegan yogurt, with the fewest carbs, and add a few raspberries. Basically, What I do, Just try to fill mainly on salad, with spinache, that’s about 80 % of my daily intake, and keep my carb count under 30, my fat, under 20 , sugar under 25…… calories under 1400. It works for me ! Hm, I guess bodies are indeed very different — I tried 'going veg' in part bc it made it so easy for me to (gradually) lose weight. Then again, I had already learned from a support group that I need to stay away from added sugars and wheat flour. With their help, I have continued to skip my trigger foods. And so far (10+ years), while eating heaps of brown rice, white rice, blue corn tortillas, beans, lentils, potatoes, etc., along with plenty of veggies and whole fruit, my body has regained and retained a good, proportional weight without my having to count calories or feel hungry. 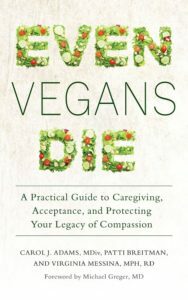 YMMV, but do check out Campbell's China Study and the (vegan) Engine 2 Diet (in addition to V. Messina's books of course!). I think losing weight is about the fat, not the carbs. I went whole foods, low fat vegan in January and rapidly lost weight, 15 pounds before summer. In fact, I had to add some fish back into my diet because I didn't want to lose any more weight. The only oil I add to my food is a small amount of flax oil, after the item is already cooked. I saute food in veggie broth, you really can't tell that much of a difference. No processed "vegan" foods either. I feel great. TXMom and Ninufar, it's great that you've both found diets that work for you. But, to get an overall idea of what works for *most* people, it's important to look at the actual research rather than popular books. And the research shows that some people do much better by adding a little bit of fat to their diet. The reason for this is probably that they find their diet more satisfying and therefore can stick to it better for the long term. While people do lose weight on very-low-fat diets, their long-term effectiveness is not as good. Losing weight is not about fat or carbs–it's about calories. And people need to find the right calorie balance that supports health *and* that is realistic for them. For many, a very-low-fat eating pattern is not the best fit. I'm an ethical vegan who has struggled with weight issues my entire life. Yes, I agree: it's about the calories. But, it's also about finding ways to control cravings. I have found David Kessler's book "The End of Overeating" very informative. It talks about how certain foods (high in sugar, fat and/or white flour) tend to set certain people up to crave more by stimulating pleasure centers in the brain. I think I may be one of those people. Eliminating refined sugar and fried food has helped stem cravings which used to be the undoing of me. I have lost 30 pounds so far this year, and hope to continue a slow and steady physical right-sizing. Low-carb vegan is an oxymoron. There is no such thing. The vegan diet does not have enough low-carb food choices from which to build such a diet. The best one can do on a vegan diet is reduce your carbs by cutting out thing like grains and some fruits but "reduced carb" and "low carb" are two different things. Unless of course you feel you can live on tofu and nuts. That is actually not true. There are several options for a low carb vegan. An avocado has 16 grams carbs but most of those are fiber (14-15) grams. The total net carbs of 1 avocado amounts to about 2 to 3 depending on the size of the avocado. Flax has no net carbs. There are several low carb vegan meat replacements from different companies such as lightlife, gardein, morningstar, and a few others. Spinach has one net carb in about 3 cups. Broccoli, asparagus, cauliflower are all low in net carbs. Some good options you mentioned are tofu and nuts. Tomatoes are low carb (5 net per large tomato). Daiya vegan cheese has 4 per serving. Olive oil is vegan and has no net carbs. Olives themselves are low carb. Most vinegars are low carb. Most cruciferous vegetables are low carb. Try vegan cream cheese in desert recipes, sweetened with stevia. Depending on the brand vegan cream cheese has about 1-2 net carb per serving. I love vegenaise. Geuss what its made from unrefined oils so its carb free.Most berries can be eaten after the induction phase of a low carb diet. I could go on but as you can see there are quite a few options out there. Do some research. You may learn something. No kidding. Its easy to be low carb and vegan. Just cut out pasta, rice, and bread. Massive salads are awesome. Just make modifications when eating out, and you can have whichever diet you choose. Low carb vegan just requires some extra planning, but it’s entirely doable. 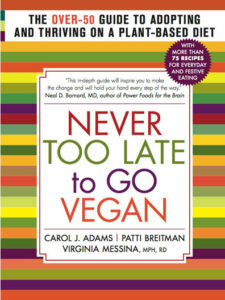 In fact, most carnivore low carb recipes can be modified to be vegan. Swap out the butter for Earth Balance. Dairy cream cheese for vegan cream cheese (marginally higher in carbs than the cruel version), ground beef is easily swapped out by Beyond Meat beef crumbles. They also make delicious “chicken” breast. I personally love doing creamy stir-frys…mix some tahini, watered down miso paste, garlic/onion with a touch of vegan cream cheese on stovetop until thickened…pour over sautéed veggies, spaghetti squash, etc. Delicious! I was on a cruelty-based low carb diet for years and years. Then once my eyes opened to the disastrous world of animal cruelty I gave all that up to embrace a kinder lifestyle. I loaded up on brown rice, beans, lots of fruit & veggies, healthy fats, etc. The weight started creeping up. About a year into it I discovered the Engine 2 Diet that claimed by reducing ALL oil/fat significantly and eating all whole foods (which I was already doing) I would surely lose weight. YEAH. FREAKING. RIGHT. Gained 3 pounds in the first week and it just kept going. Finally, I realized that carbs are simply not getting along well with my body. So I went to Whole Foods and stocked up on the previously mentioned low carb vegan goodies. Problem. Solved. I find "low-carb" very easy for me, but I limit myself to one carb a day. My system is that my "big meal" of the day includes potato – I stay away from pasta, breads & rice. I find that if I eat zero carbs I am tired & hungry ALL THE TIME, but the potato is not a processed or man-made food, so in my head I feel it is a better carb for me. I also experimented with cutting fat completely from my diet, and again, it was a big failure! Without a little fat, I was hungrier & constantly craving things. I do get my fats from oils & beans, though I do indulge in some real "fatty comfort food" like homemade veggie/bean burgers fried in olive oil!! I think the point for everyone on ever "vegan health topic" is to read & research as much as you can, find support from other vegans & get information from knowledgeable medical professionals, and then figure out what works for you. We're all different – being vegan doesn't make us any less unique. beans, lentils, chickpeas, whole grains all have carbs in them. i certainly would not want to miss out! pasta, breads and rice are GREAT sources of protein. besides, you need carbs to be up and moving!! carbs are your friend people. You have never lived with diabetes. Carbs are not always good for you, even if they’re from the earth. Eating a potato is for me like shooting up sugar.., not a good choice. I do have to watch my fried food intake, portion control and sweets, or I would puff up even more! Having said that, I’m built to have a little more padding and skinny is in no way my goal. I’ve just switched to a low carb vegan diet in order to get the ball rolling on some weight loss. Ideally I will slowly add in more beans and grains/quinoa after a 20lb loss. In the past I have done Dr. McDougall’s Maximum Weight Loss and it works. I did have to have a weekly cheat meal because I did crave the feeling and taste of fats, but overall I feel great on it. It’s very heavy in carbs and very low in fat. I feel much better about eating that way than low carb. He has a non-maximum weight loss plan that includes the above plus healthy fats. I hope to return to that once I lose some weight. I think I just need a new approach; something to get me motivated! Carbs are NOT everybody’s friend. Everybody is different, and many people have difficulty processing carbs, especially from grains. It’s not being vegan that makes people healthy, it’s eating healthy that makes people healthy. When I was vegan, I was eating lots of pastas, rice, Tofutti, vegan sour creams and “butters,” etc. 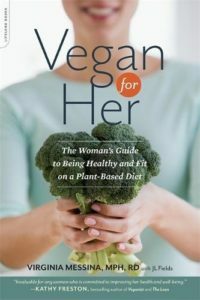 Young and vegan during a time that info about carb issues was not readily available – I thought as long as I wasn’t eating meat and dairy products, I would automatically be healthier. In actuality, I was throwing my system way out of balance. Even if someone were to eliminate the grains and fake dairy products, but ate pounds of bananas and potatoes every day, they would have problems. I do believe a vegan diet can be VERY healthy, but felt compelled to point out that “vegan” does NOT mean inherently healthy – you still have to choose what you eat carefully. Thank you DR, your reply was very helpful,My hudband and I are vegan eating for around 4 weeks now, We are doing this for many reasons, health as well as cruelity free. I guess I thought I was just going to drop weight for eating this way, of course my husband has but he is also eating raw as well, so thanks for the info, zI am going to keep at it, reguardless of what I do, it won’ t eating another beautiful animal! I think i really need to drink more water to push out the” waste”. Also also eat more raw. I have been vegan for years with about 60% raw…..and just recently found out that I have high cholesterol. I have always avoided fried foods and corn chips, etc. and have used only moderate amounts of olive oil for salads. After some research, I found out that too many carbs can cause your body to make cholesterol. I’m experimenting with limiting grains and high carb fruits and will have another test in about a month to see if ther’s any change. Any feedback? I have been a Vegan for over 2 years. My goal was to eat cleaner, healthier and cruelty free. I did really well the first year. I ate mainly vegetables, fruits, nuts and legumes. I hadst least one raw meal a day. Once I added grains and sugars back in my weight loss turned to weight gain and my issues with cholesterol and hyper tension came back. Now I am worried about the onset of diabetes. I was told that you had to have grains for balanced nutrition. Can I take them out completely and if not what is the bare minimum I have to consume? I have already decided to take processed sugars back out. I also heard and read that gluten can cause elevated tryglicerides. Any truth to that? A high carb intake, especially refined carbohydrates, can cause elevated triglycerides, but gluten itself–which is a protein–doesn’t have any effect on them. If you prefer to avoid grains, it’s fine to replace them with legumes and starchy vegetables, though. But I don’t think you should be afraid to include grains in your diet. Maybe aim for a couple of servings per day of whole grains. Thank you Ginny. I have taken refined sugars and processed grains out of my diet 3 days ago. Experimenting with my diet I am finding the more fruit and grains I eat, the more I crave sweets. Does that make sense? Is it ok to restrict–or even eliminate–fruits/grains in favor of tempeh, veggies and good fats? I do want to lose weight 🙂 but I also want to be as healthy as I can be. Thanks!!! Yes, this is me. I’ve been vegan for over ten years and have been hungry all the time. Always. Even after a big meal, I’m hungry again an hour later. In the last week I’ve started experimenting with cutting out the grains and sugar, only having one fruit a day and eating more nuts, avocado and coconut (I was a low-fat vegan for many years). I am finding that I feel full now for many, many hours and can even go without snacking between meals. It is awesome to not be consumed with thoughts about food but I don’t know if all of this fat will cause me to put on weight. I’ll let you know. 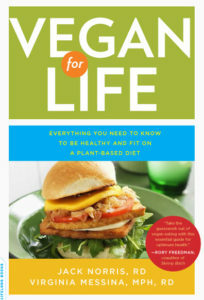 I’m fairly new to vegetarian/veganism, thanks to two movies (Forks over Knives and Vegucated). I’ve become completely vegan, but am starving all the time – even very shortly after having eaten a large meal of legumes and vegetables. Prior to my dietary change about six weeks ago, I ate a very high protein diet because I’ve been really carb sensitive since my early twenties. Carbs of almost any kind make ridiculously hungry, sleepy and cause my heart to pound. I’m not a diabetic, but there is a lot of diabetes in my extended family. I had a physical last week and my blood sugar level was 105 – the highest it’s ever been. It’s gotta be all the brown rice and legumes. I really, really don’t want to go back to an animal based diet, but am at a loss as to what to do. A gal can only consume so much broccoli, green salad and leafy vegetables. I’d recommend emphasizing legumes a little bit more and grains a little bit less. You might also want to consider replacing some of the beans with tofu or tempeh. And maybe choose higher protein grains like quinoa. Are you also eating healthy fats? Adding some nuts or nut butters to your diet could really help with hunger without driving up your blood sugar. I wanted to take your advice for a couple of weeks before responding. Tofu has been VERY helpful in getting rid of the hunger. I’ve also included more quinoa with good results. Peanut & nut butters are sort of hot button items for me. The more I eat, the more I crave. (Guess all those PB & J sandwiches in my past resonate as much emotionally as physically.) So for the moment, I’m avoiding nut butters. Since I want to lose another 5 lbs. or so, and am worried about my lipid levels, I’m staying away from higher fat foods, like nuts. But I’ll try adding them back in slowly. I have been Vegan for about 4 months now, mostly for ethical reasons after watching the movie vegucated on Netflix. Initially, I lost about 10 lbs. then I started to eat more rice and fried foods and started to gain some weight back. I have removed refined breads, refined vegan deserts, and rice from my diet and added coconut water, increased my consumption of nuts and seeds and eat all the fruit I want. I also juice fruits and vegetables every day. I am a type 2 diabetic and don’t seem to have any problems with my blood sugar. I have started to slowly lose weight again. I think you have to know your body and how it reacts to what you put in it. You also have to stay active. Carbohydrates provide quick energy sources for the body as they are readily converted to to fuel. If you don’t use it. You are going to store it. I think once I reach my 110 lbs mark I will love to try the vegan low carb diet. But right now I don’t think I am ready yet lol. This is all so interesting. I truly believe there is no one diet that’s perfect for all humans. Example: My husband, who has had Type II Diabetes for 20 years is now off all diabetes and cholesterol meds and has normal weight and blood sugar for the first time ever, thanks to Neal Barnard, MD’s book “Reversing Diabetes”. Essentially the recommendation is for unlimited consumption of whole foods, all plant-based, very low in fat. Six months ago he weighed over 250 lbs, and in that time he’s down to 200 (he’s 6’3″). He intends to keep going, as he feels great. I actually have to remind him to eat, whereas before, on his vegetarian/junk food diet, he was eating all day, all the time. He has incredible energy, and though approaching 60, he feels and acts like a kid again. It’s been a remarkable revelation. (By the way, there hasn’t been one MD who’s taken an interest in his amazing transformation. We are truly sick because the system is sick.) His typical day starts with a big bowl of hot cereal with berries and soy milk with a banana, lunch is a tub of tofu with salsa and an apple, dinner is a plate full of potatoes or burritos with a side of veggies. Dessert for him is typically a couple of bowls of plain Nature’s Path organic corn flakes, or other more whole-foods kind of cereal. And, I have to remind him it’s there, waiting to be eaten! But what works for him does not work for me. I have struggled with my weight all my life, but conversely never had high blood sugars (almost always having fasting results in the high 70s). When I first went vegetarian, then vegan, I lost 100 lbs., getting down to a normal weight (145 lbs. At 5’7”) I never thought I’d see. But I’ve been plagued with various autoimmune diseases (Hashimoto’s Thyroiditis, psoriasis, psoriatic arthritis, lupus, RA); most of these untroubling to me, until I found out I also had celiac disease. While I saw almost immediate relief from the abdominal pains I’d had since childhood, unfortunately it became much harder for me to maintain my weight on a gluten-free diet. Little by little, my energy sagged, and my weight started to come back. Nine years later, I’ve put on 30 lbs. My joints were aching, my extremities swollen, and I’d lost the ability to sweat – all signs of autoimmune distress. Buoyed by my husband’s results and all the reading about whole-foods plant-based diets, I too was on the regimen which is saving my husband’s life – only to feel so much worse, and continued to struggle even harder not to climb the weight gain slope. Researching some of the protocols used for autoimmune diseases, I decided to change to something completely counter to my husband’s regimen: a high fat, low carb/protein vegan diet. Most of the low carb sites promote animal products galore, which I simply will not do. And it’s taken an attitude adjustment for me to embrace consumption of more fat in my diet. While I don’t seek out more fat for fat’s sake, I don’t agonize over using coconut milk in my tea, or enjoying avocado (Mother Nature’s way of saying she loves us, IMO), and snacking on nuts, or full-fat cocoa like Valrhona. These have always been my favorite foods anyway. I still eat tons of vegetables like broccoli, cauliflower, etc. in unlimited amounts. My ideal dinner now is a huge salad with kalamata olives, avocado, sundried tomatoes, walnuts. Lunch is often sauteed vegetables with a few nuts, or shirataki noodles with veggies, coconut milk, curry paste, and a handful of peanuts. (Possibly noteworthy: I’ve eliminated soy products as well. I’ve noticed since then that I don’t feel so puffy, and my tummy doesn’t gurgle. There’s much controversy about soy, and it’s certainly a friend to my hubby, but I’m beginning to think it’s not such a friend to me.) It’s been about a week, and my clothes are already looser, and I don’t feel so swollen and tired. The most fascinating thing to me is that my appetite is almost gone. Unless I do a strenuous workout, or a long hike, I’m simply not hungry. And that’s the way my husband feels on his regimen as well. Not for nothing, both of us are enjoying deep, restful sleep followed by energetic wakenings. Behold the power of food. So as is said, your mileage may vary. While there likely is no one perfect diet for all humans, I believe some vegan variant is the way to go for optimal health. All of the above is offered to help others who struggle with similar health issues. It’s tremendously empowering to know, unlike what Western medicine promotes, your health is not outside your control. May your kindness toward animals be rewarded with great health, and long life. Low carb vegan or vegetarian plant based actually really works for me! I did really well on the raw food vegan diet (which eliminates grains for the most part and can be high fat), but then I felt I was lacking some nutrients and went Paleo as I didn’t want to go back to all the grains. I felt SUPER great eating Paleo, particularly AIP Paleo, and recommend this for those needing to heal leaky gut, but I was very uncomfortable with the amount of meat I was eating for ethical reasons. I kept trying to go vegan, but it was the LFHC style (low fat high carb) and I kept feeling absolutely terrible. Super sleepy and sometimes gassy after high carb meals, tummy trouble from all the grains and starches. Yes, you can try and up probiotics and cultured veggies to digest this amount of carbohydrate, but still, I think genetically I don’t process complex carbs all that well. Mt father has diabetes, and I think faulty blood sugar metabolism (along with food and alcohol addiction) run in the family. Whole fruits and dried fruits don’t seem to bother me in the same way (although fruitarian amounts do). So, now I’ve been trying lower carb higher fat mostly raw vegan, and this really seems to work for me! I Googled it just now to see other’s take on this. I am allergic to soy, but I can have nuts, seeds, hemp seeds, fruit, berries, tons of greens, cooked beans. So far so good!